In general, most foreign visitors to the United States need a visa. Visa rules in the US are rapidly changing, and the bureaucracy of moving to the US can be quite a challenge - depending on the country of origin. There is a waiver program that allows nationals of other countries to enter US without a visa for 90 days called Visa Waiver Program (VWP). 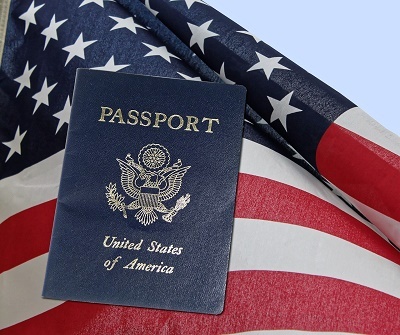 Foreign nationals who wish to seek employment in the US must first check if their country of origin is part of the Visa Waiver Programme (VWP) to ensure that they will follow the correct immigration procedures. Eligibility for the for a US employment visa is either through sponsorship of a US citizen relative, US lawful permanent resident or by a prospective employer and the beneficiary of an approved petition filed by US Citizenship and Immigration Services (USCIS). One of the most significant documents that must be secured before applying for a US work visa is the Labour Certification. It is the job of the expatriate’s future employer to obtain this document from the US Department of Labour and will be only by issued if the authorities have proven that the vacancy has been first advertised to the local labour market and no skilled US citizen or resident is qualified to fill the job post. Do not be confused about the many types of visa in the US. Visas are determined on the purpose of travel. The two basic categories of visa are immigrant visas and non-immigrant visas. Non-immigrant visas are for foreigners who wish to visit the US temporarily for purposes of tourism, medical tourism and certain types of temporary work while the immigrant visa is for those intending to reside permanently in the US. One of the most popular visas is L-1 visa, which can lead to permanent residency in the US. L-1 visa is available for companies who wish to expand their operations in the US. It is available for employees who will be transferred to the new office in the US. L-1 non-immigrant visa is the fastest option to getting a Green Card. EB-5 visa is the quickest way to obtain US residency. This type of visa requires a direct financial investment either to a new or existing business in the US with minimum fund requirements of USD$500,000.00 or USD$1,000,000.00.